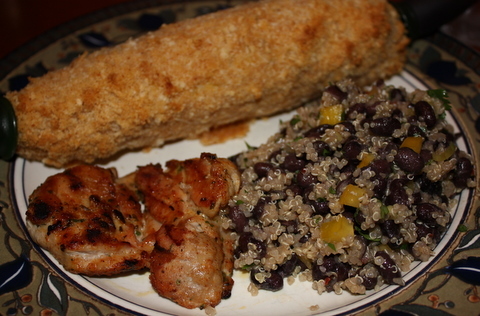 This (recipe here) was so yummy and so easy, using leftovers from my favorite chicken recipe. I served it over greens. 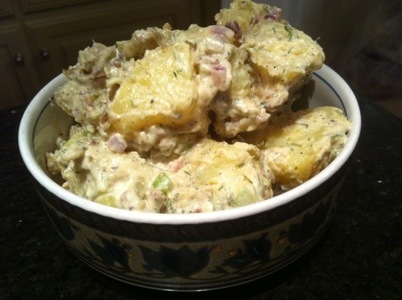 This potato salad (recipe here) is one from Ina Garten. Every single one of her recipes that I’ve ever made has turned out beautifully and was delicious; that chick knows her stuff! I made this batch with Yukon Gold potatoes, because that’s what I had on hand today, but it really is better with new potatoes. 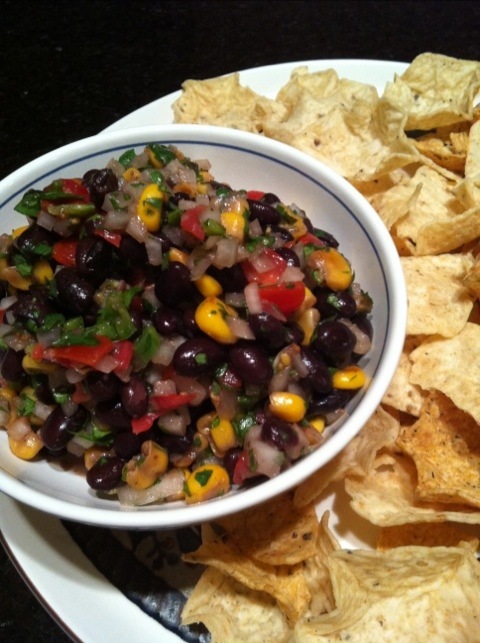 Black Bean Salsa from our friend A.F. Heat the butter over high heat in a large sauté pan until foamy. 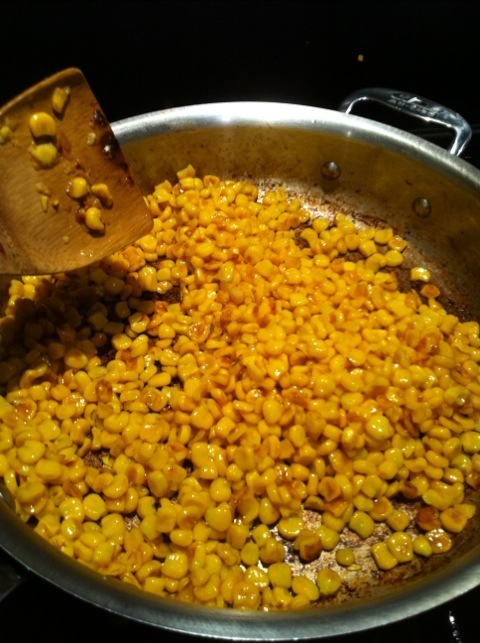 Add the corn and cook, stirring occasionally, until corn is browned and very fragrant. in quesadillas, soft tacos or nachos. This recipe makes a HUGE batch, fit for a large BBQ or potluck, but it keeps well in the fridge for a couple of days or the quantities are easy to adjust, if you’d prefer to make a smaller batch. 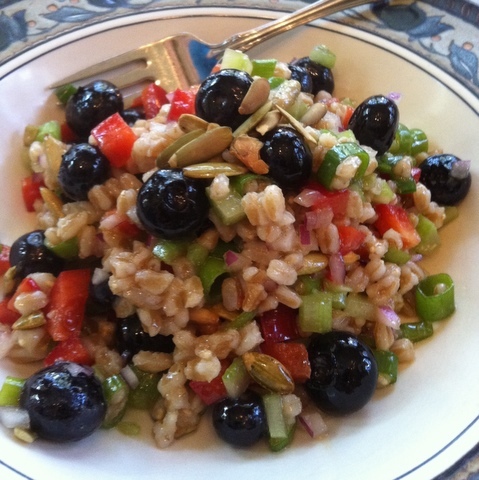 Author laraPosted on April 16, 2012 April 16, 2012 Categories Entrees, Favorites, Gluten Free, Salad, Side Dishes - Starch, Side Dishes - Veggies, Snacks, VegetarianLeave a comment on Black Bean Salsa from our friend A.F. 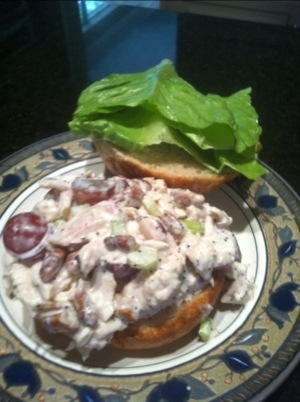 This is a concoction inspired by a salad that I had once at the Nordstrom Cafe. Basically, just layer slow-roasted tomatoes (I made huge batches of these and keep them in ziploc bags in the freezer – they thaw in seconds and are great in salads, pastas, on bruschetta, etc. 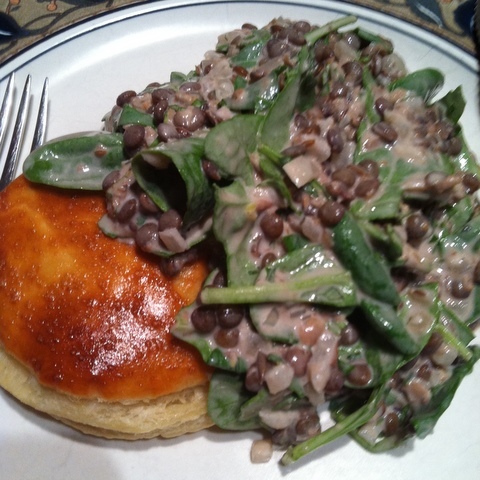 ), sauteed zucchini, and gigante beans (I won’t tell if you substitute canned cannellini beans) on a bed of baby arugula. Top with slivers of fresh basil and a little balsamic vinaigrette, if you’d like. Shaved Parmesan (use a potato peeler) or leftover slices of steak would also be fantastic. 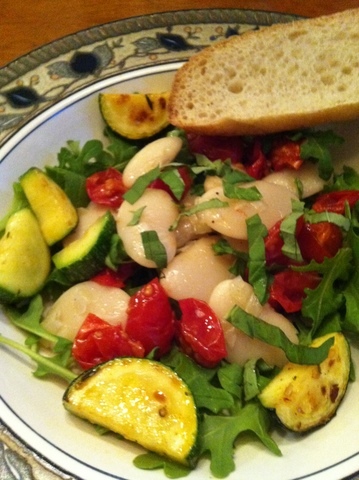 Serve with sliced, warm ciabatta bread. Mmmm…wish I had some of this right now. Vegetarian without the steak, vegan without the cheese (as shown). 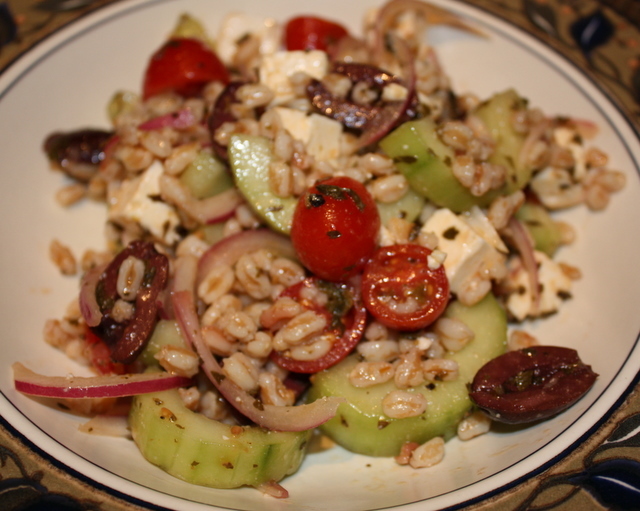 Gluten-free without the bread, or with GF bread. 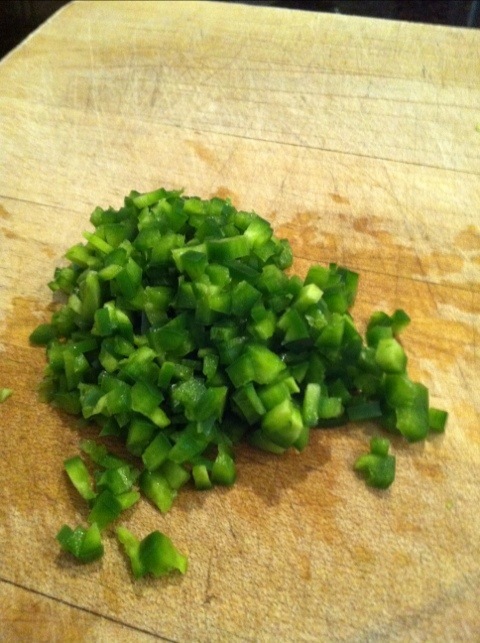 Gently toss all ingredients together until lightly coated with dressing. 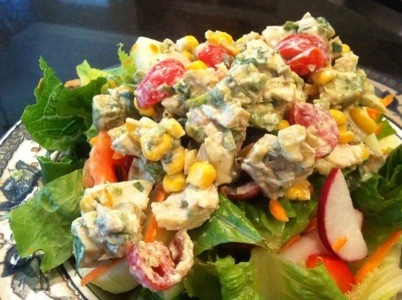 You may not need ALL of the dressing, so reserve a few tablespoonfuls and adjust as needed. This was quite delicious. Unusual, and not like anything I’ve had before, but light and very flavorful. The braised radishes were pleasantly both sweet and tangy. I sauteed the pancetta in a separate pan and then cooked the radishes in olive oil, rather than the bacon pan, so that Vegetarian Girl could have hers with the pancetta. We just sprinkled the cooked, chopped pancetta on top of ours at the very end. 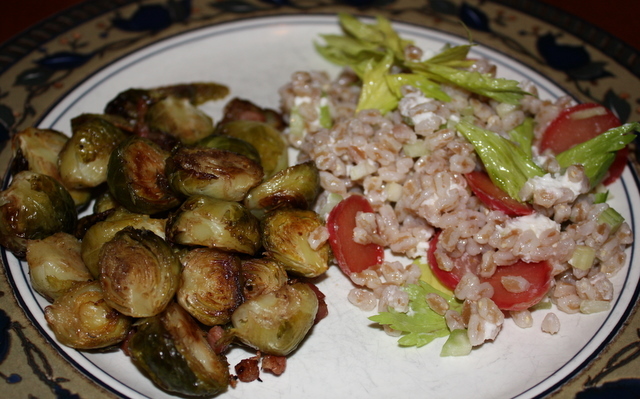 I served this with some roasted brussel sprouts (also adapted for Vegetarian Girl, but with pancetta added for us.) Yes, we went a bit crazy with the pancetta this meal…I would probably pick a different green veggie to serve with this next time, but we all love roasted sprouts, so I just went for it!